The first Russian nesting doll was born in 1890 in the workshop "Children's Education" situated in Abramtsevo estate new Moscow. The owner of Abramtsevo was Sava Mamontov - industrialist and a patron of the arts. 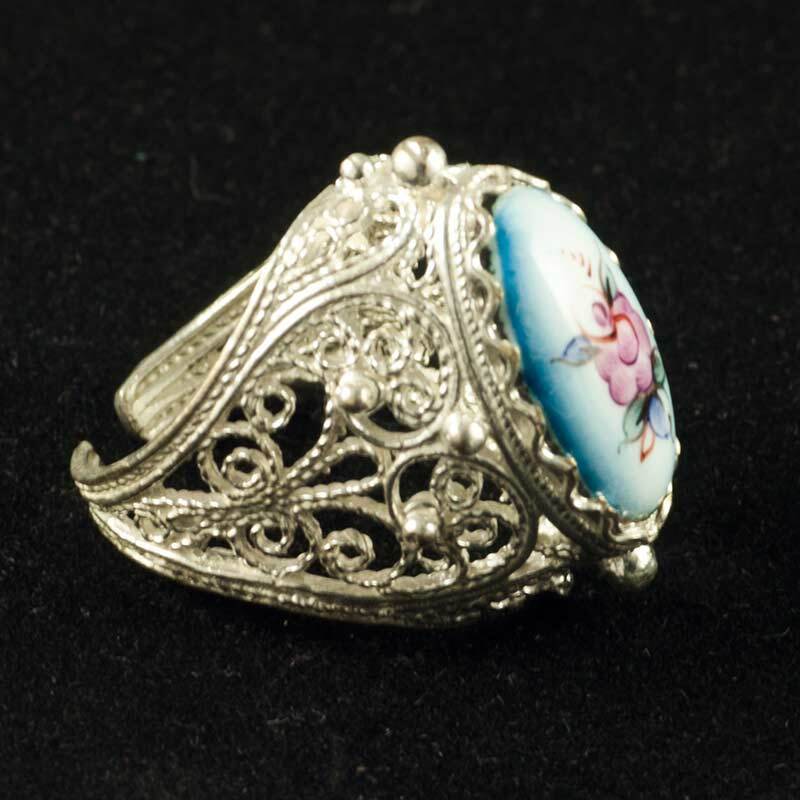 The end of the 19 century in Russia was a time of great economic and cultural development. 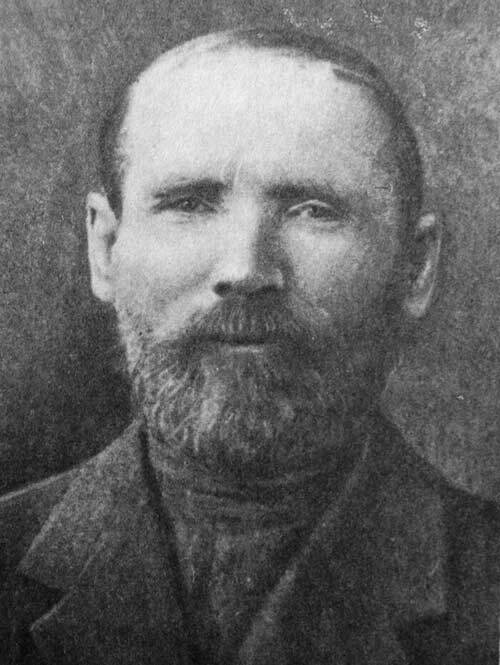 Mamontov was one of the first who patronized artists who were possessed by the idea of the creation of a new Russian style. 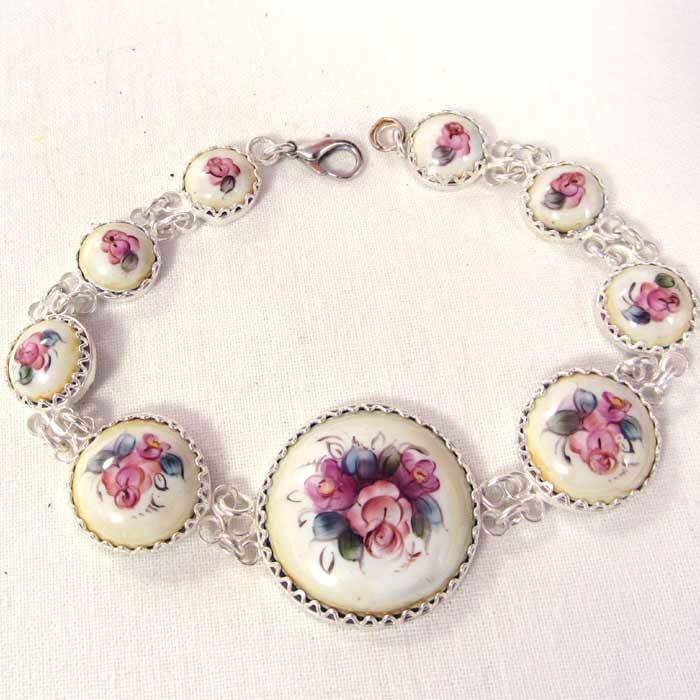 Many famous Russian artists worked along with folk craftsmen in the workshops of Mamontov. Once at a tradition Saturday meeting somebody brought a funny Japanese figurine of a good-nature bold head old man Fukuruma. The doll consisted of some other figurines nestled one another. It had 7 figurines. That was the fist known nesting doll. On other hand there was a legend that the first doll of such type (nested wooden doll) was brought on the Japanese island Honshu (where Fukuruma was made) by unknown Russian monk. Really, this type of nesting toys was well known before - Russian crafter's turned wooden Easter eggs, apples. 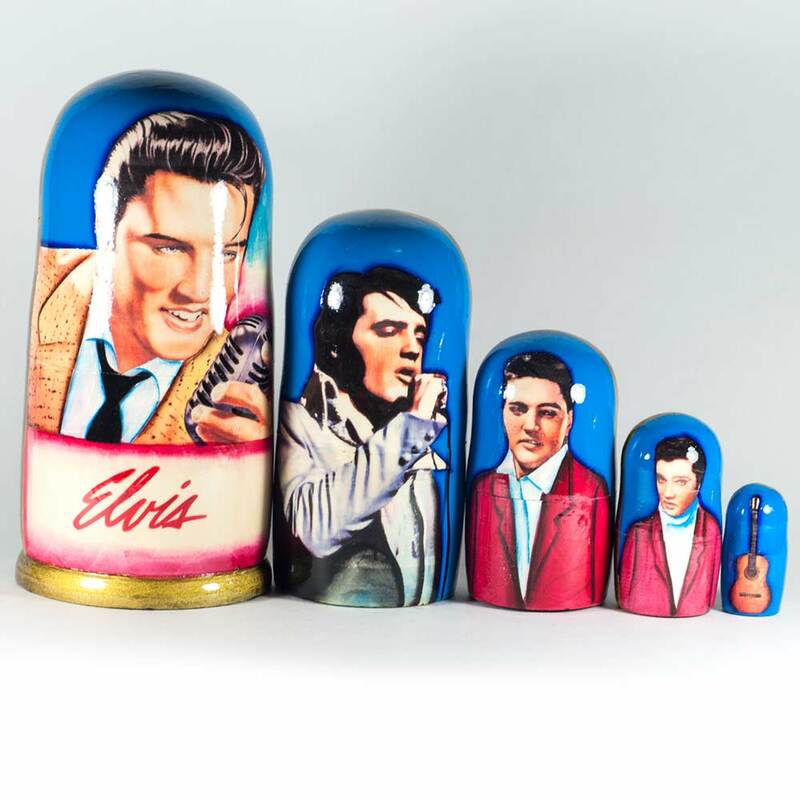 One of artist of Mamontov's artistic surrounding Sergei Maliutin was intrigued by the Fururuma nesting doll and he decided to make an something similar but with Russian peculiarity, an own Russian nesting doll. The doll should have its own Russian spirit and to represent specific Russian cultural and people art traditions. So Sergei Malytunin made a sketch of such doll and asked to help him to make a wooden form for the nesting doll the crafter by name Vasiliy Zveydochin. Zveydochin turned at his lathe the first wooden nested dolls of soft linden wood. The principle of making dolls remains unchanged until the present time, keeping all the tricks of turning skill of Russian craftsmen. Usually a turner uses such wooden materials as lime and birch. Timber that is intended for the manufacture of dolls, usually is cut down in early spring, purified from the bark, leaving in some places of the log rings of bark to prevent during drying cracking of the wood. Prepared in this way the logs are stacked in piles, between them there is a gap for air flow. Usually timber is kept in the open air for several years to bring it up to a certain condition, avoiding not proper drying. Only an experienced master can determine the readiness of the material. Ready to process the logs are sawn into billets for future dolls. The doll blank overcomes though up to 15 operations in the hands of a turner before becoming a finished doll. Maliutin painted the dolls in accordance with his own design. The first Russian nesting doll described a peasant family - a mother with her 7 children. The nested doll consisted of 8 pieces. 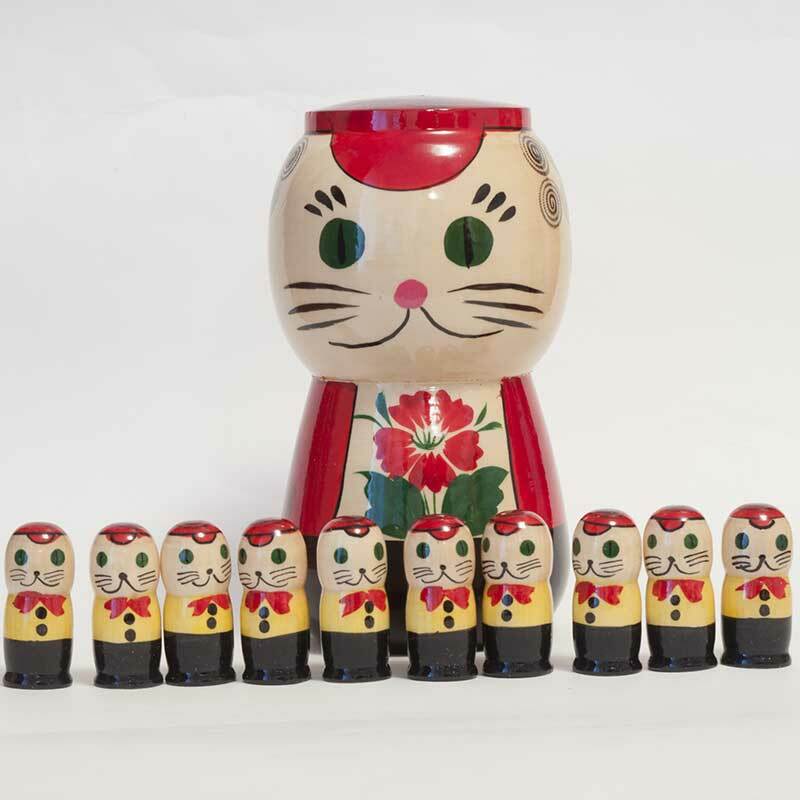 This set and some other ones old matryoshkas are displayed in Sergiev Posad at the Museum of Toys . There in the museum we can see many old Russian nesting dolls like "An old man", set of 8 pieces matryoshka, "Getman", 8 pieces se of nested doll, matryoshka "The tale about turnip". 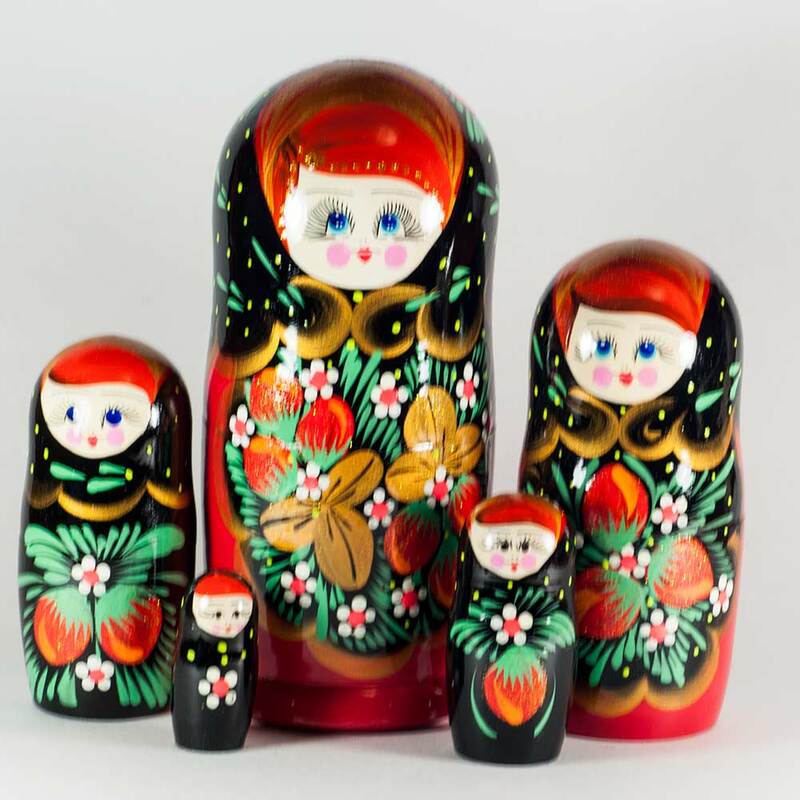 Why it is called "Matryoshka"
This new wooden toy was called Matryoshka and there is no information who was the first to call the nesting doll by this name. Definitely the name Matryoshka goes from Russian female name Matriona. 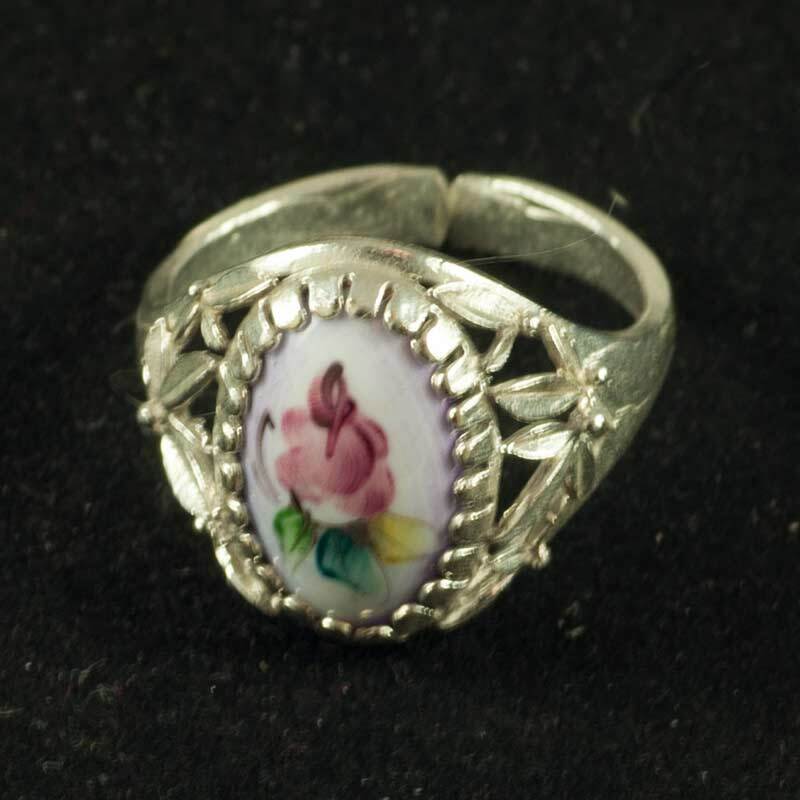 In old Russia among peasants the name Matriona or Matriosha was popular female name. Scholars says this name has a Latin root "mater" and means "Mother". 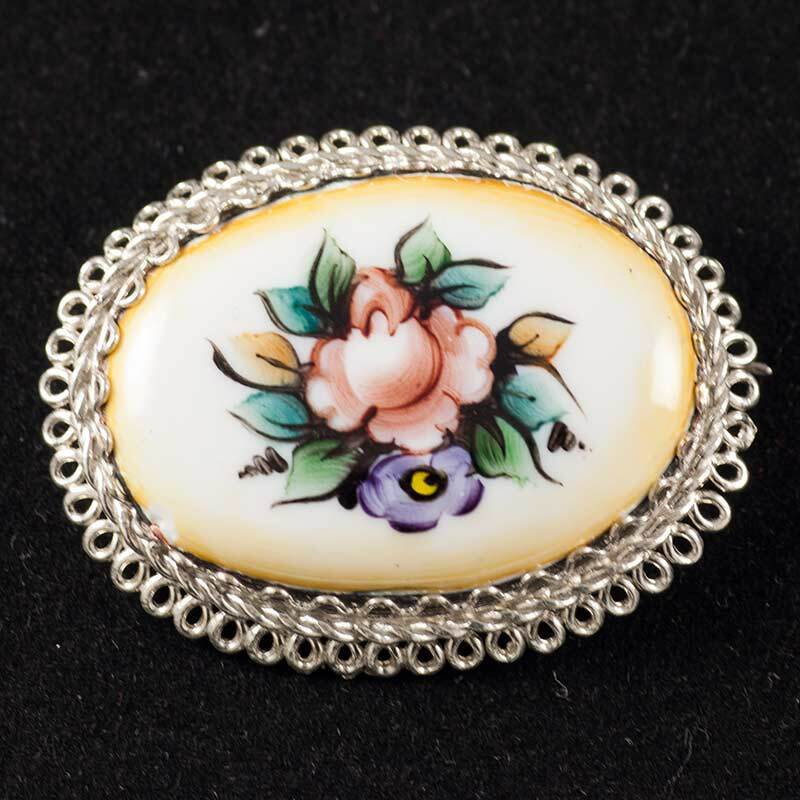 This name was associated with the image of a mother of a big peasant family who was very healthy and had a portly figure. 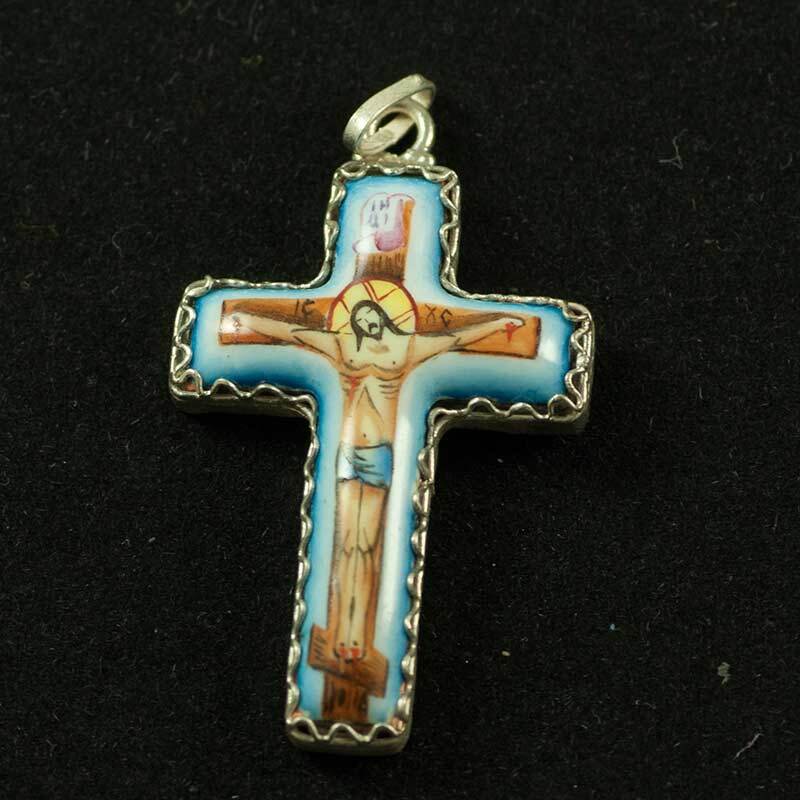 Subsequently, it became a symbolic name and was used specially to image brightly painted wooden figurines made in a such way that they could taken apart to reveal smaller dolls fitting inside one another. 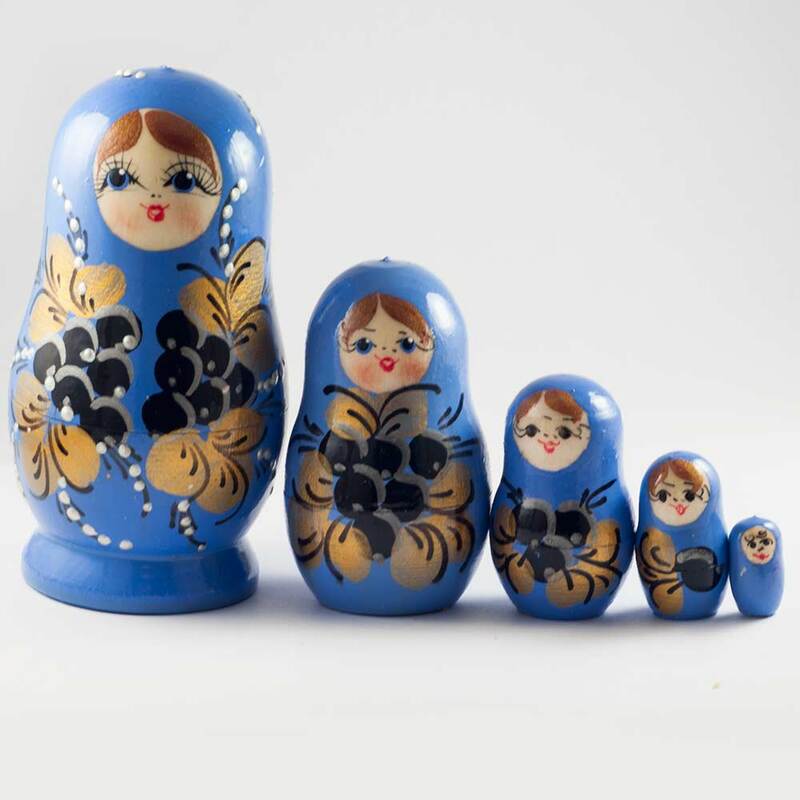 Until the end of 90s of 19 century the nesting dolls dolls were made in Moscow studio "Children's education," and after its closure production of nested dolls have moved to the training and demonstration workshops in Sergiev Posad near Moscow. Sergiev Posad was a place where the first matryoshka doll was made. This old Russian town is located 73 km (about 45 miles) from Moscow. It has grown up around famous Trinity-St.Sergius Monastery. In 1340 the monk Sergius founded a small temple lost in the midst of the wild thick forests. In time it was developed into the biggest monastery of Russia. 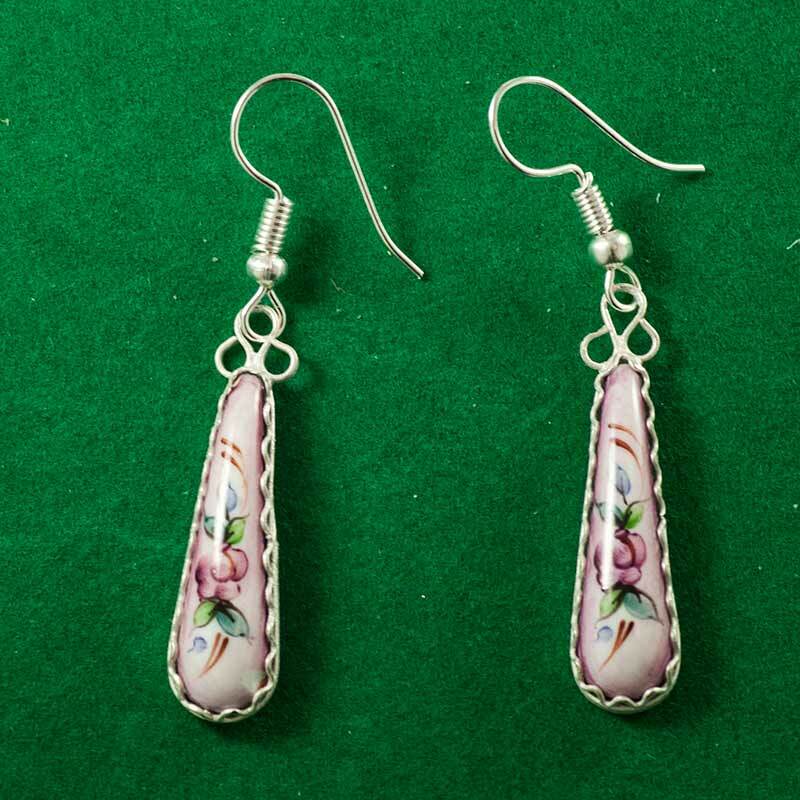 Arts and crafts were flourished in the towns and villages who surrounded the monastery. Wooden toys, which were known as "Trinity" toys, became particularly popular. According to the legend the first "Trinity" wooden toy was made by the Prior of the Monastery, Sergius Radonezhsky. Sergiev Posad was a colorful, truly Russian town. The Monastery lent a unique peculiarity to it. The huge marketplace in front of the Monastery was almost always full of different people: merchants, monks, pilgrims and craftsmen were milling around. 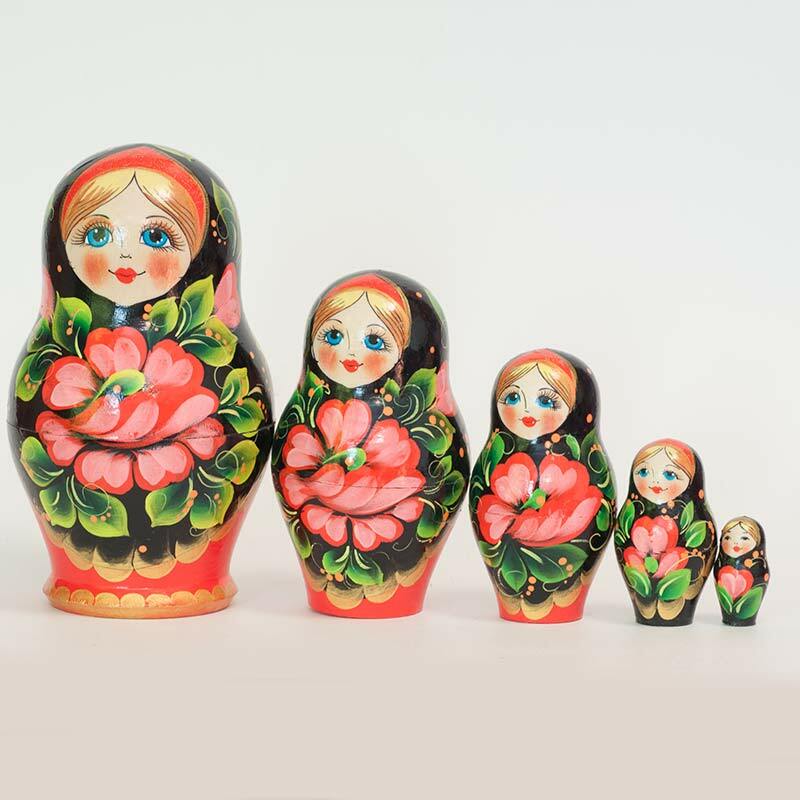 So this is natural that when craftsmen from Sergiev Posad heard about the funny wooden toy matryoshka some of them tried to replicate it and, as we can guess, they success ed in it and the new designs of nesting dolls were developed. Professional artist made the first painted matryoshka nesting dolls just for fun. The stacking dolls were very expressive and they won admiration of adults and children. 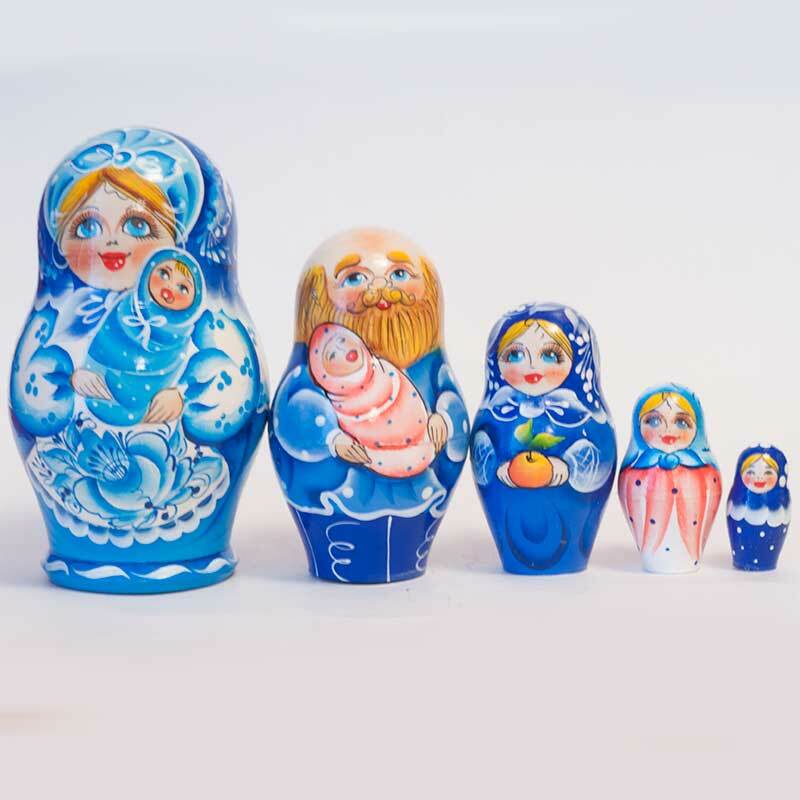 In the initial period of matryoshka development particularly attention was paid to faces of matryoshka, clothes were not detailed painted as they are painted and decorated now. Such dolls depicted different characters and types: peasants, merchants, and noblemen. 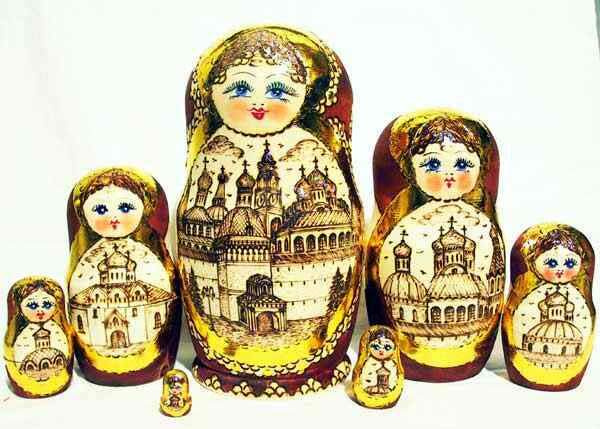 The faces of the early matryoshka dolls of Sergiev Posad were oval and strict. 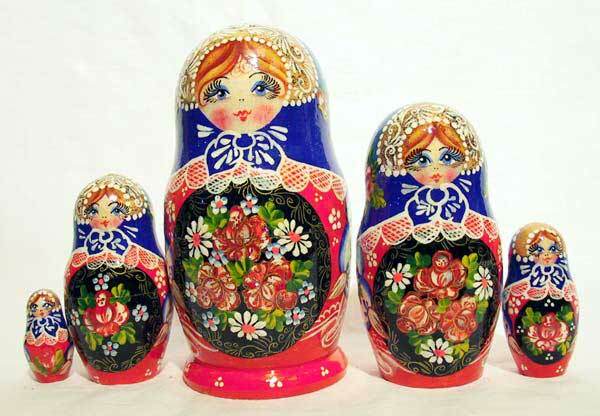 The heads of many wooden Russian dolls were greatly enlarged that's why the face dominated the body. These dolls look primitive because of this disproportion but at the same time they are very expressive. 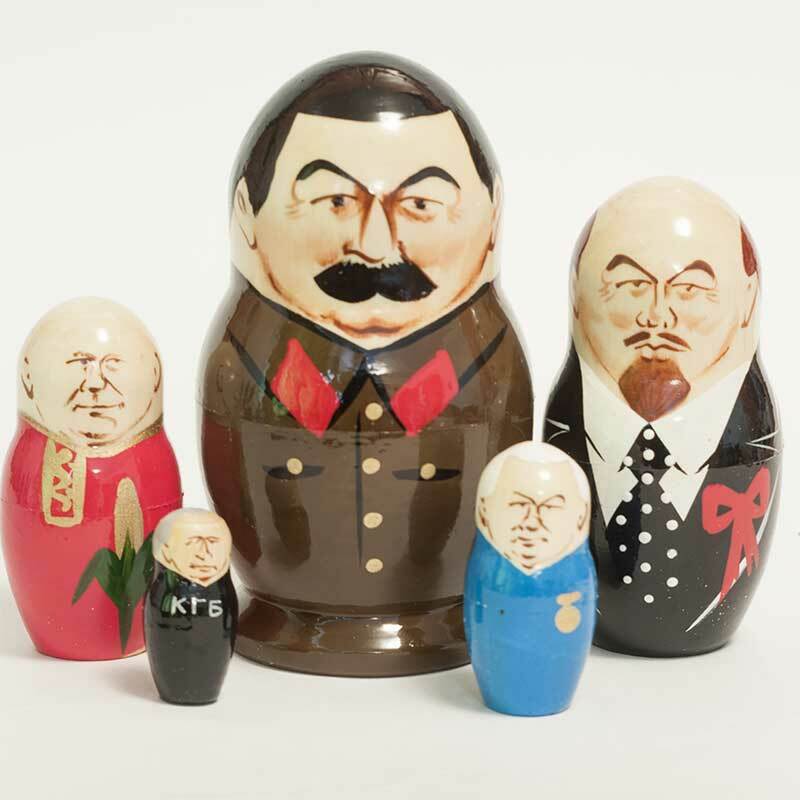 The first politic matryoshka, the prototype of famous "Gorbi doll", was born in that time. Matryoshkas like "German" (German was a political leader Governor of old time Ukraine, which was a part of Russian Empire) gave a soil to artist to design modern politic dolls. 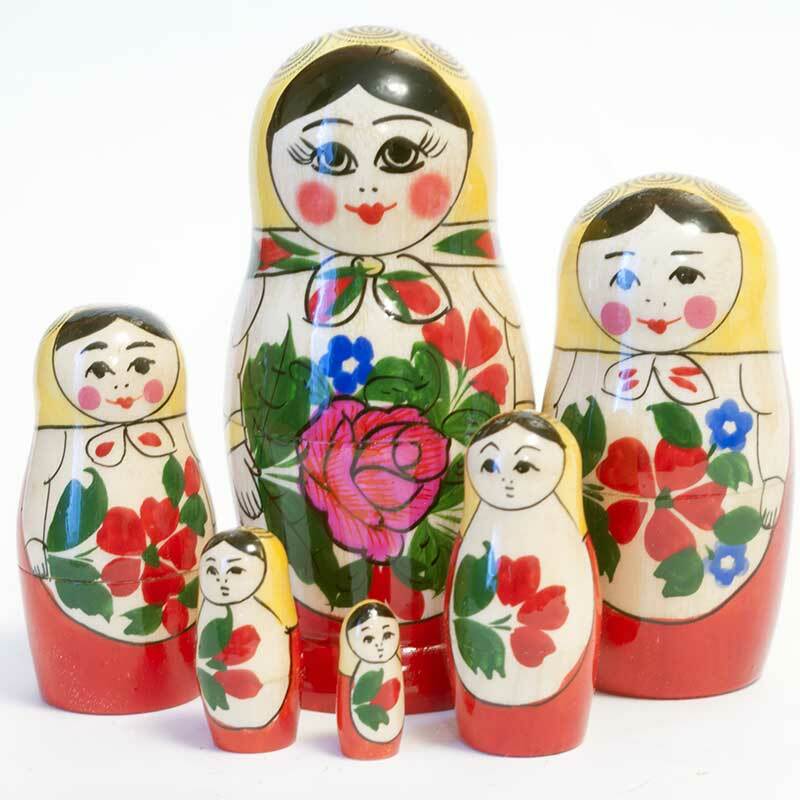 Sometimes a nesting doll portrayed the whole family with numerous children and members of households. 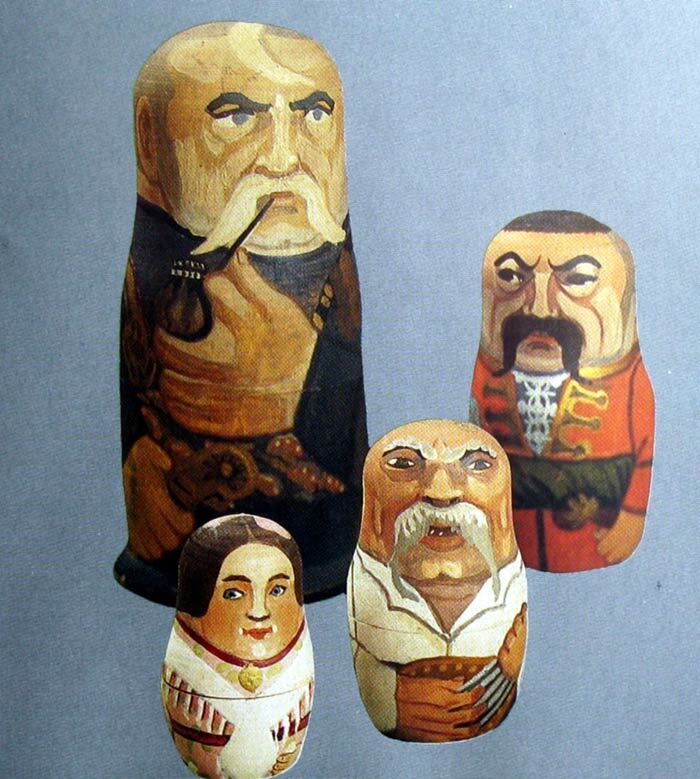 Some matryoshkas were devoted to historical themes. The described boyars (old Russia noblemen), legendary heroes bogatirs (warriors), some dolls were devoted to book character. 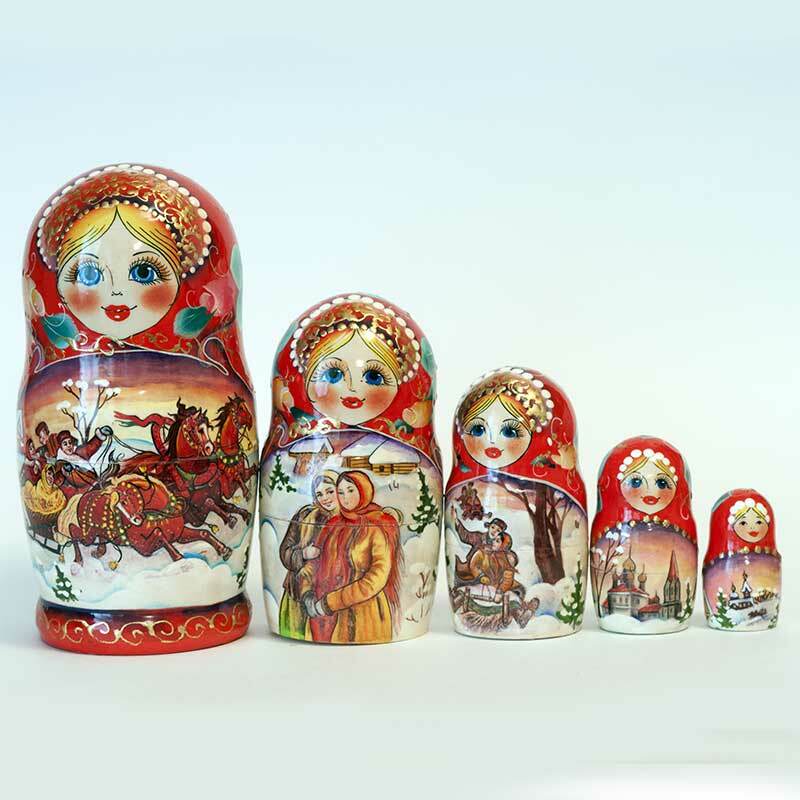 The nesting dolls of Sergiev Posad consisted of 2 to 24 pieces. 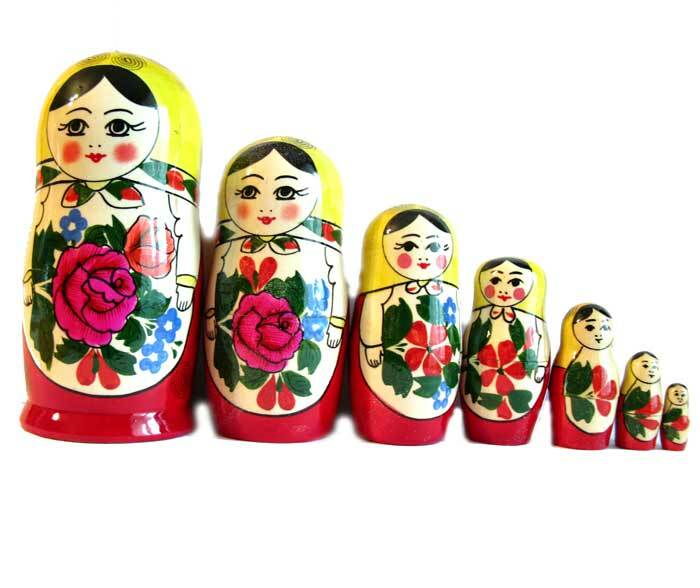 The most popular set of matryoshka dolls consisted of 3, 8 and 12 pieces. In 1913 a 48-pieces matryoshka made by N. Bulichev was displayed at the Exhibition of Toys in St. Petersburg. Development of nested doll greatly depended on turners' skill. 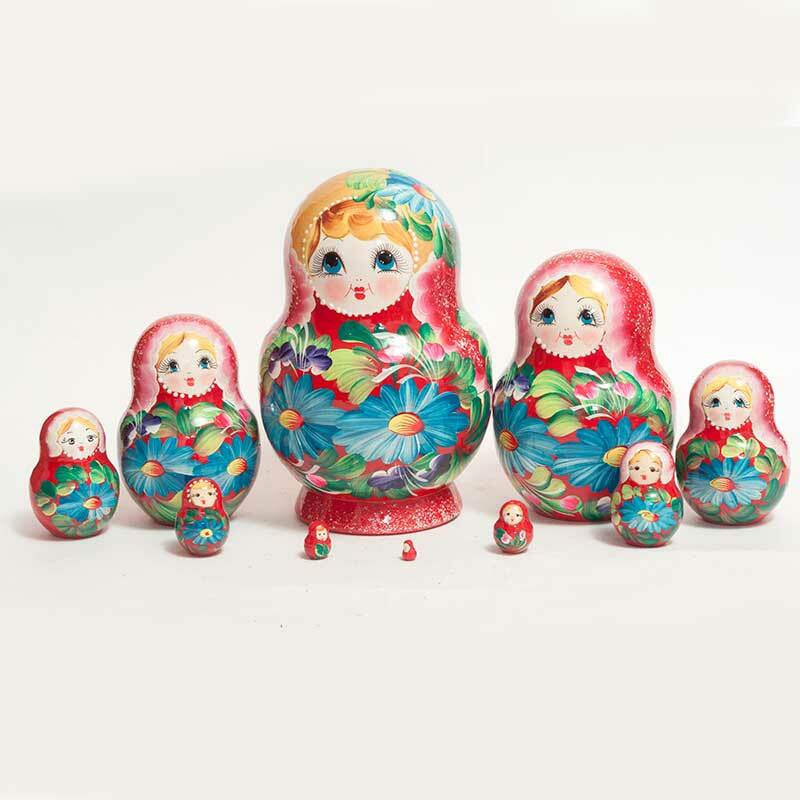 Highly skilled masters turned RUssian dolls with very thin sides, which was considered to be a special art of matryoshka turning. Apparently, painting was secondary. Professional artists who painted the first turned dolls did not treat it seriously enough. It was sort of entertainment. There are some nesting dolls - caricatures in the Museum Estate Polenovo. On other hand there were many independent workshops of Sergiev Posad where skilled artisans worked and they crated their own style of Russian matryoshka doll. 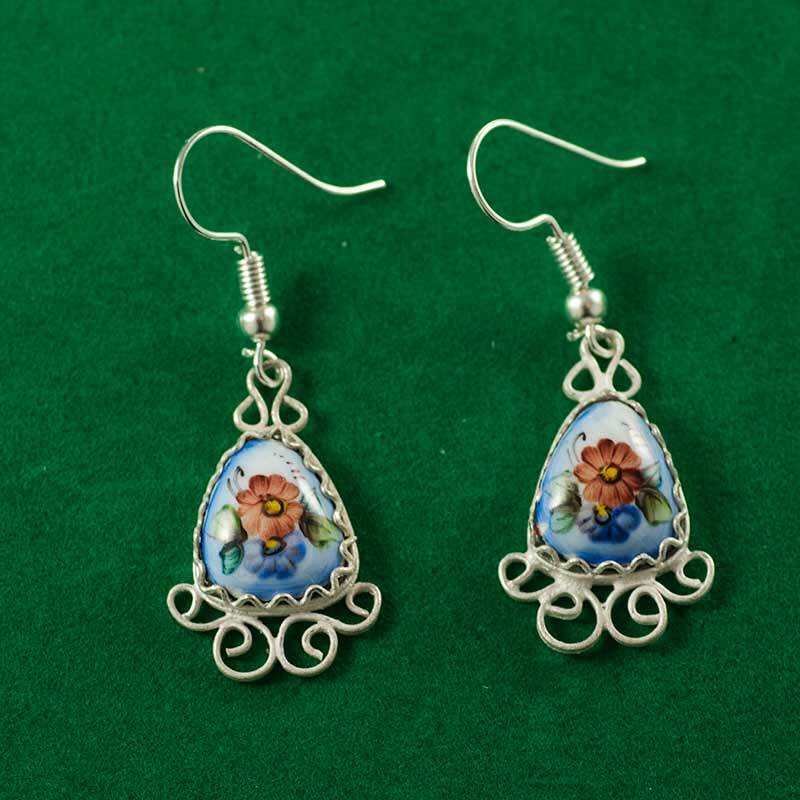 Folk art tradition was very important in the development of the present Sergiev Posad style. 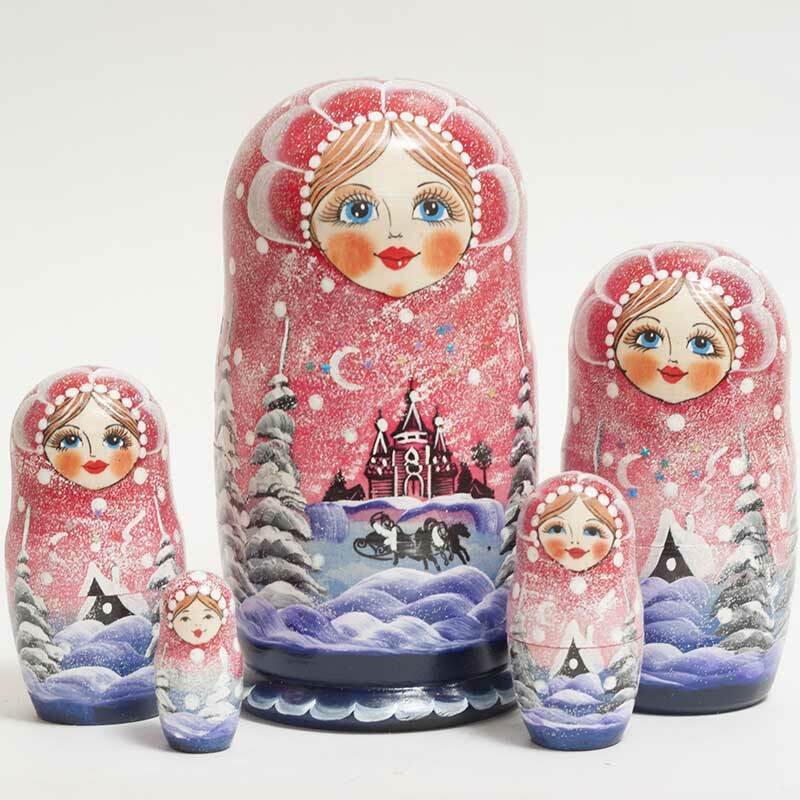 Due to widest layer of folk culture, nesed doll matryoshka continued to exist even after Russian style, developed by Russian professional artists was forgotten. Icon painters of Sergiev Posad contributed a lot to matryoshka pictorial style. 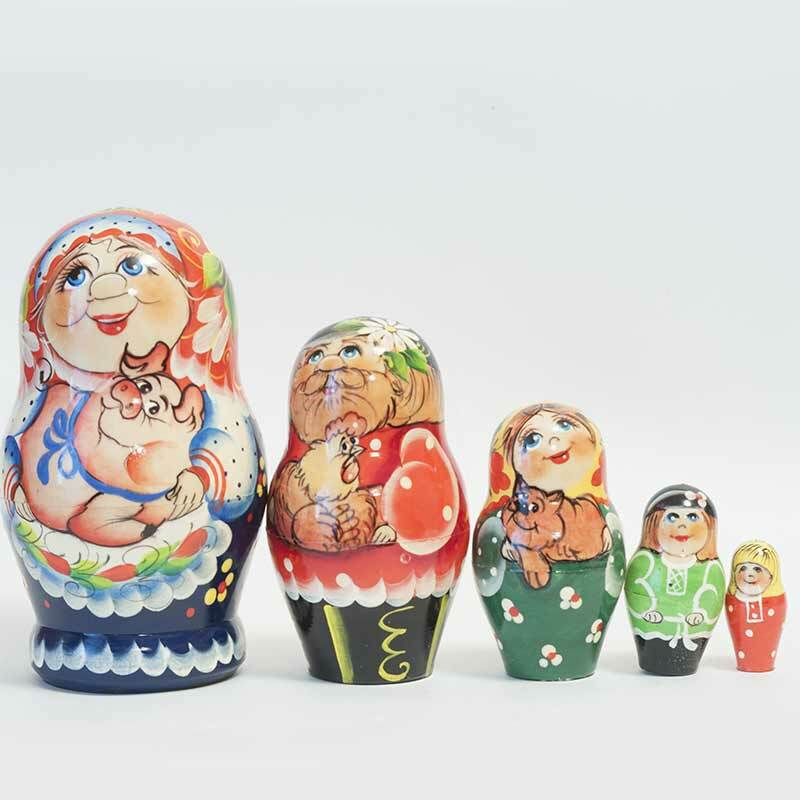 Anthropomorphism, in other words, resemblance to a human being of the Russia "take apart" nesting doll turned out to be the continuation of ancient Russian art tradition. An artist focused mainly on the figure of a person, his or her face. 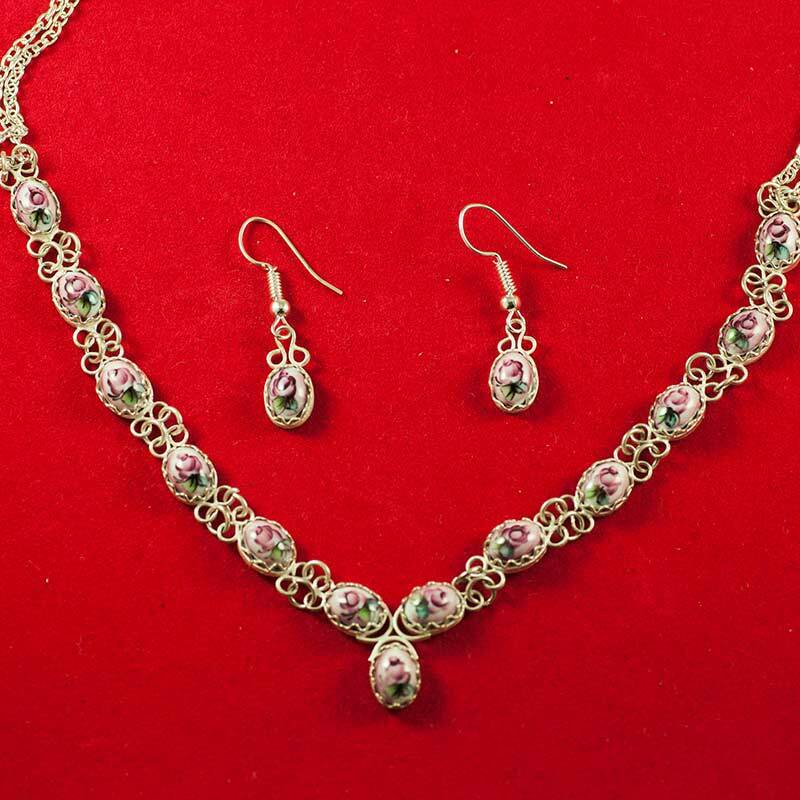 This tradition of Russian ancient art came from Byzantine Empire, which had borrowed it from ancient Greek culture. 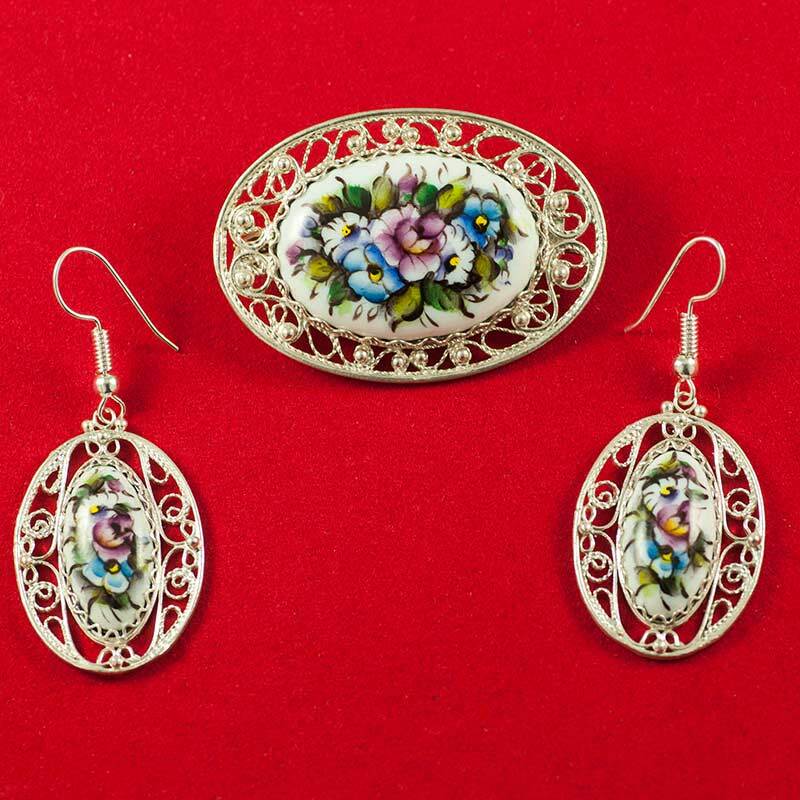 The connection of certain early type of the matryoshkas of Sergiev Posad with the tradition of the local icon painting school is confirmed both stylistically and virtually. Along with the icons, nesyting doll were painted as well in the icon painting school of Sergiev Posad. 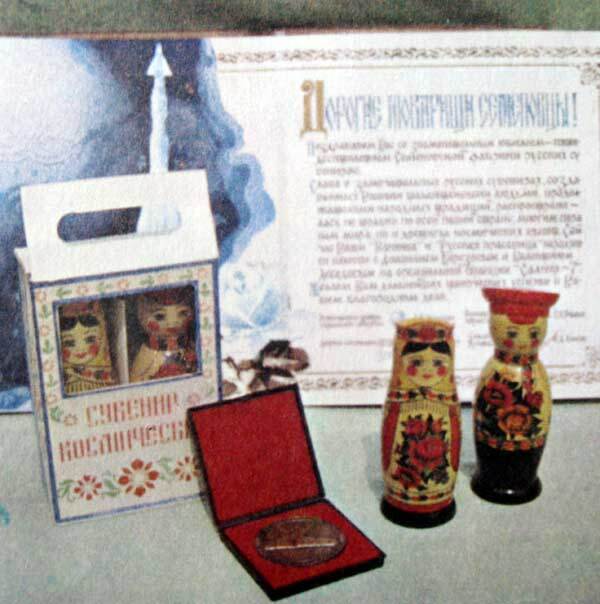 Poked (burned) nesting doll, 5-p., 1990-s. 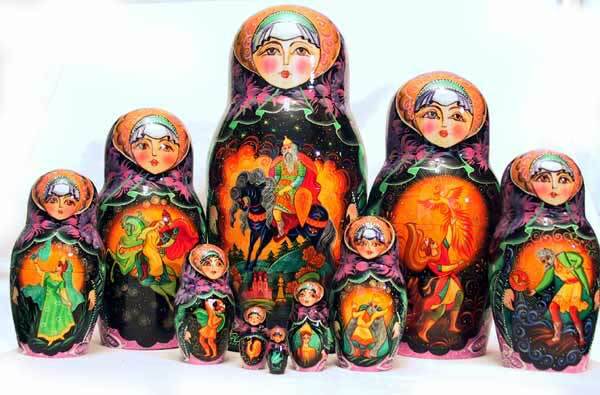 The stacking doll of Sergiev Posad has its own peculiarities: its top part flows smoothly into thicker lower part: it is painted with gouache and has a varnish surface. In spite of, or perhaps because of the popularity of the matryoshkas of Sergiev Posad, matryoshka-making center started to spring up in Russia. 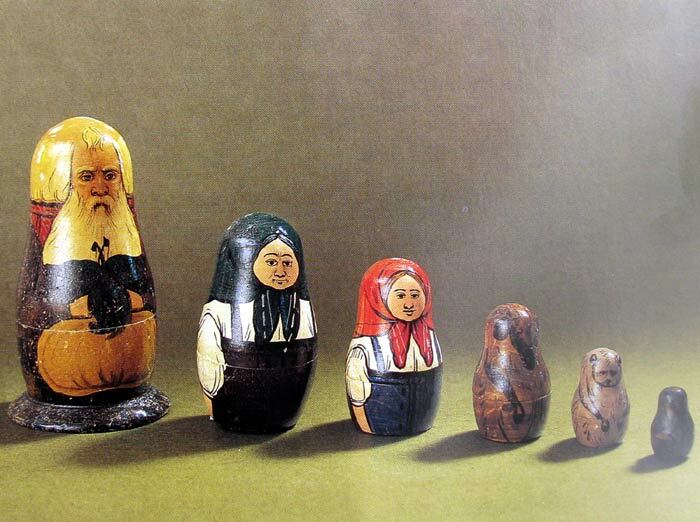 Initially matryoshka dolls types were rather different: they portrayed both male and female characters. There are some ethnographic nested doll: Samoyed (Eskimo), Gypsy Woman, American Man, Turk, Chinese, Lithuanians, and Tartar Family, Ukrainian and so on. 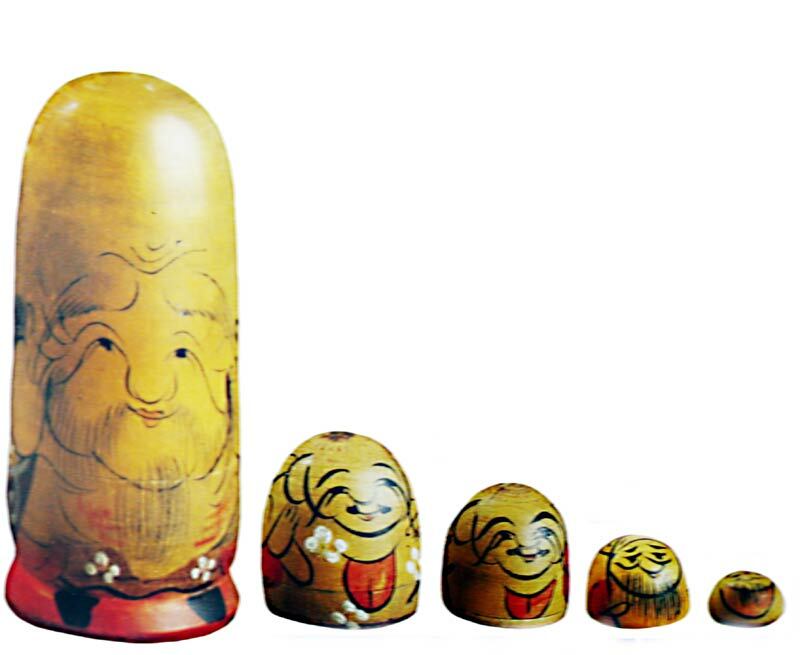 Gradually female character became the main type of matryoshkas. 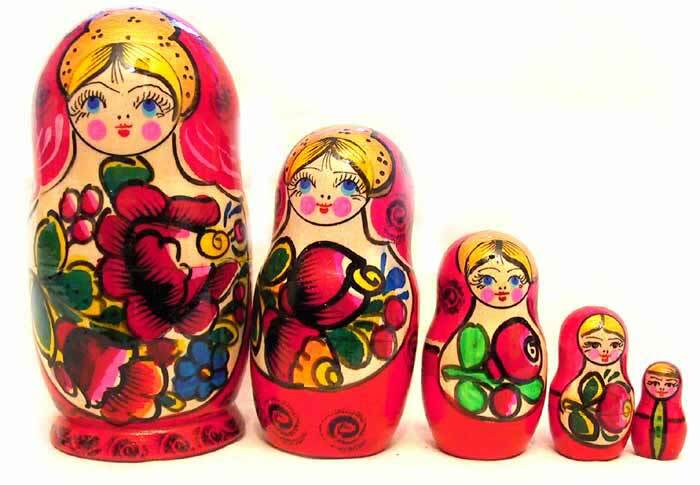 The tradition of making special Russian dolls proportion (1:2, that is ration between a doll's width and height) were worked out. Semionov is a large old center of wooden handicrafts. Huge thick forests, soil that is not good for agriculture, big outlet provided development of local people crafts. 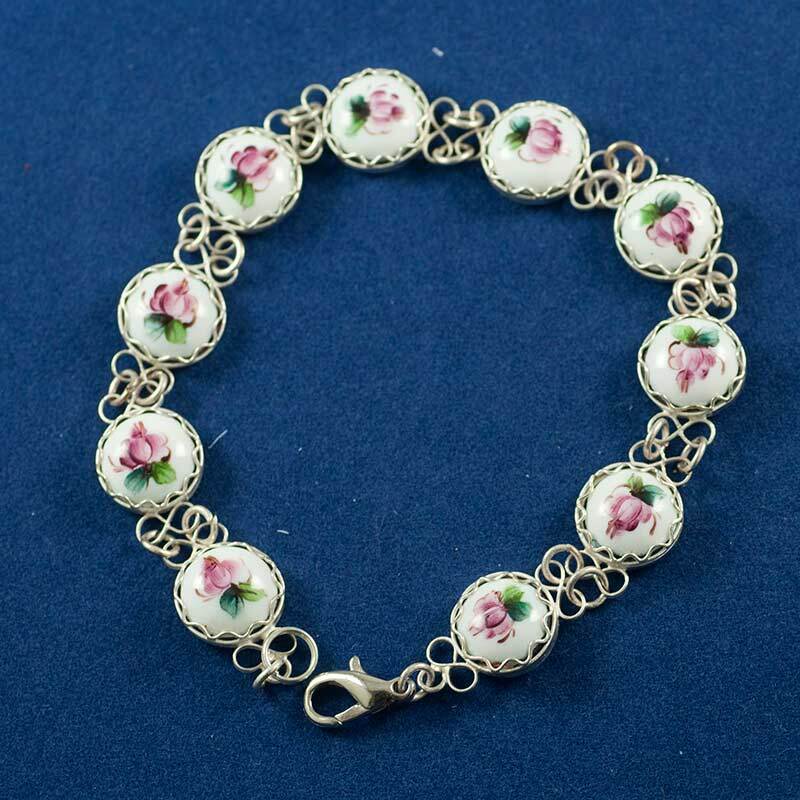 Of course, many changes occurred during long history of crafts in Semionovo but even now about 200 items are produced in factories and privately in this region, 33 countries import goods from this small town. 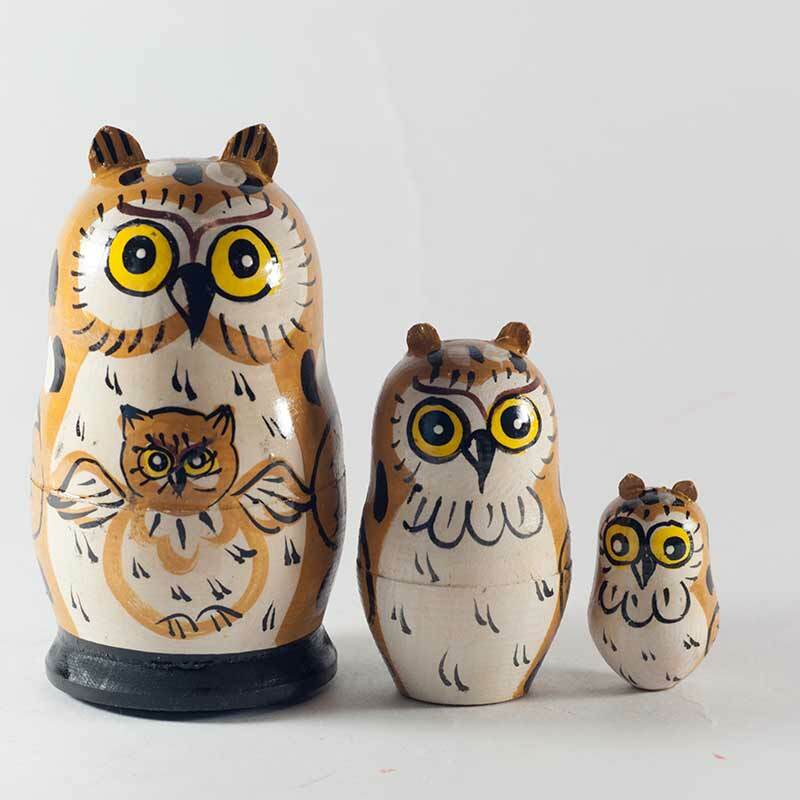 Semionovo is famous for its wooden painted tableware, wooden toys and, of course, matryoshkas. The first mention about this settlement goes as far as 1644. There is a legend that Semionovo was founded by merchant Semion and a run-a-way monk from Solovky monastery. In 1779 in time of Catherine the Second 3000 inhabitants lived and worked in this place. As the town was surrounded by forests people used to make goods of wood for themselves and for sale. Some crafter's made for their children and just for fun wooden toys, with time it became a profitable business. The first matryoshka in Semionovo was made by Arsenty Mayorov who was well known by his wooden utensils, rattles, balls and apples. 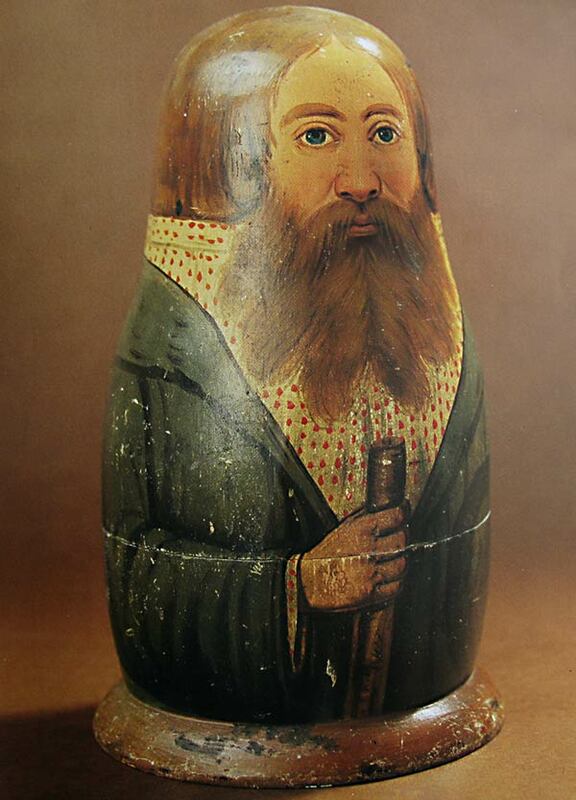 In 1924 he brought from the fair in Nizhny Novgorod unpainted nesting doll. 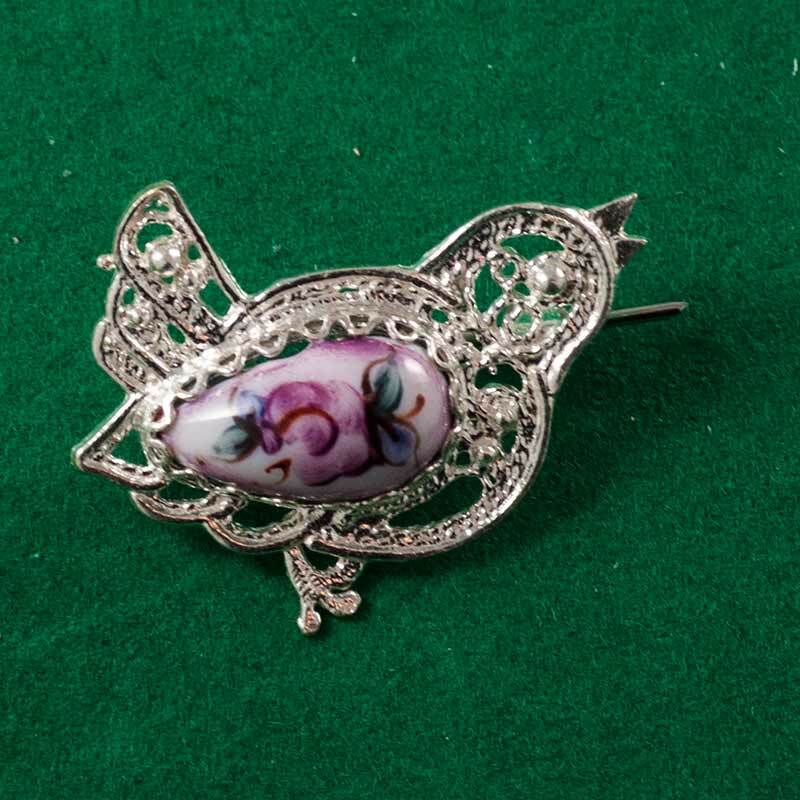 His elder daughter Luba painted it using ordinary goose feather and aniline dyes, which were used for painting of toys. Almost 20 years matryoshka made by Mayorov were the best in the area of Nizhny Novgorod. 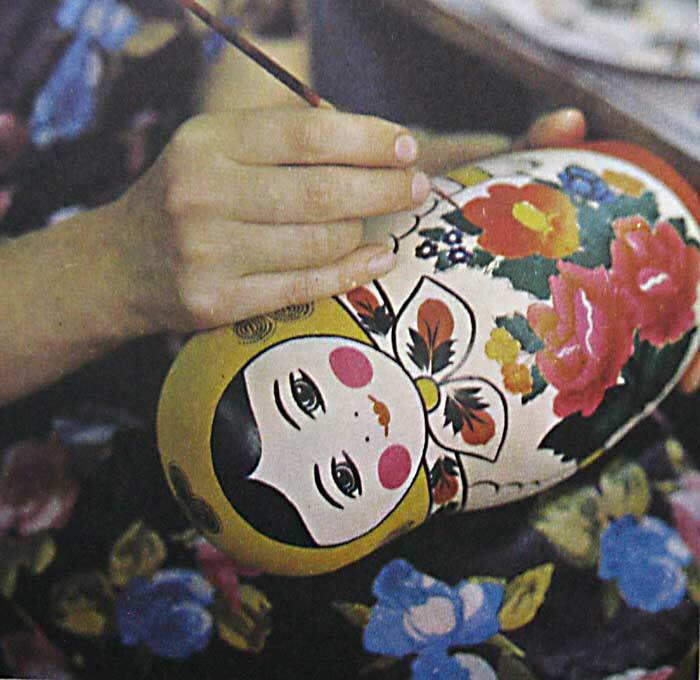 In 1931 an ar tel which made souvenirs including matryoshkas was established in Semionovo. 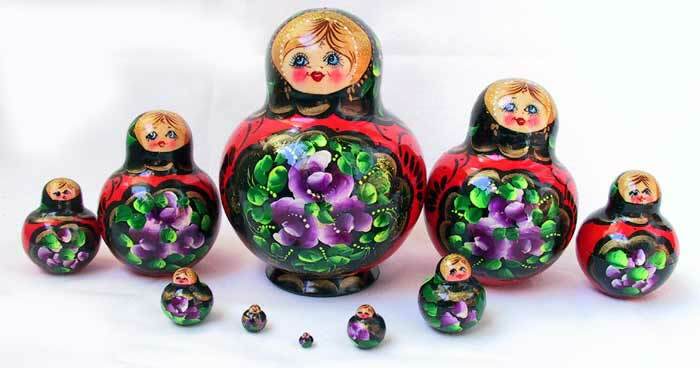 The matryoshka of Semionovo are famous for containing many pieces. The biggest matryoshka contained 72 pieces; it was 1 m high and had a diameter 0.5 m. This unique doll was made in 1970 and was dedicated to birthday of Soviet communist leader Lenin. It cost 3000 rubles (it worth saying that a popular Soviet car cost in that time 5,000 rubles). The doll was sent to exhibition in Japan. 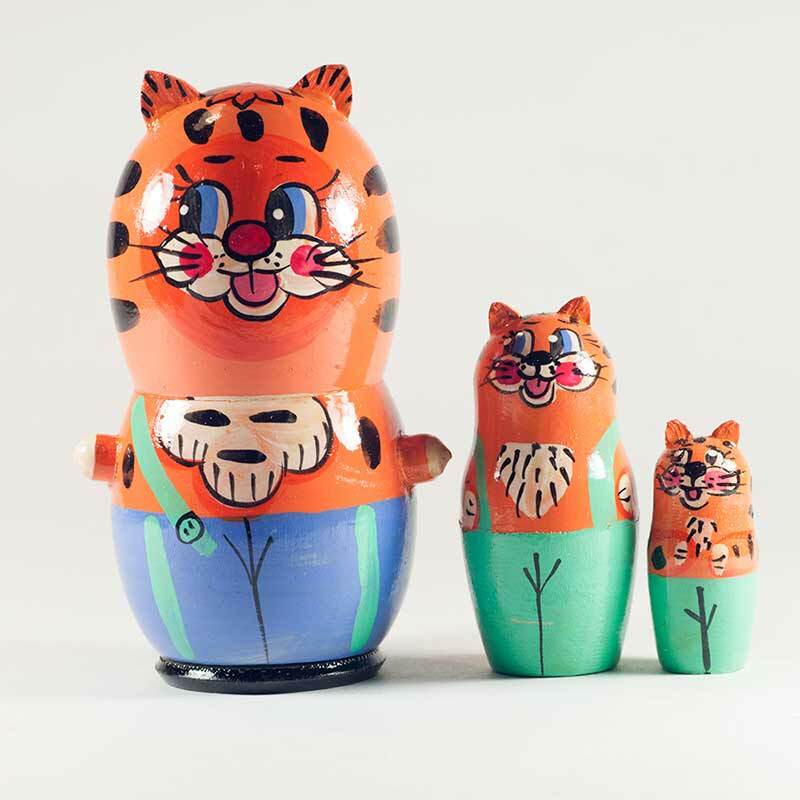 Now Semionovo nesting dolls are made at the factory "Semionovskaya Rospis" and they continue old traditions. 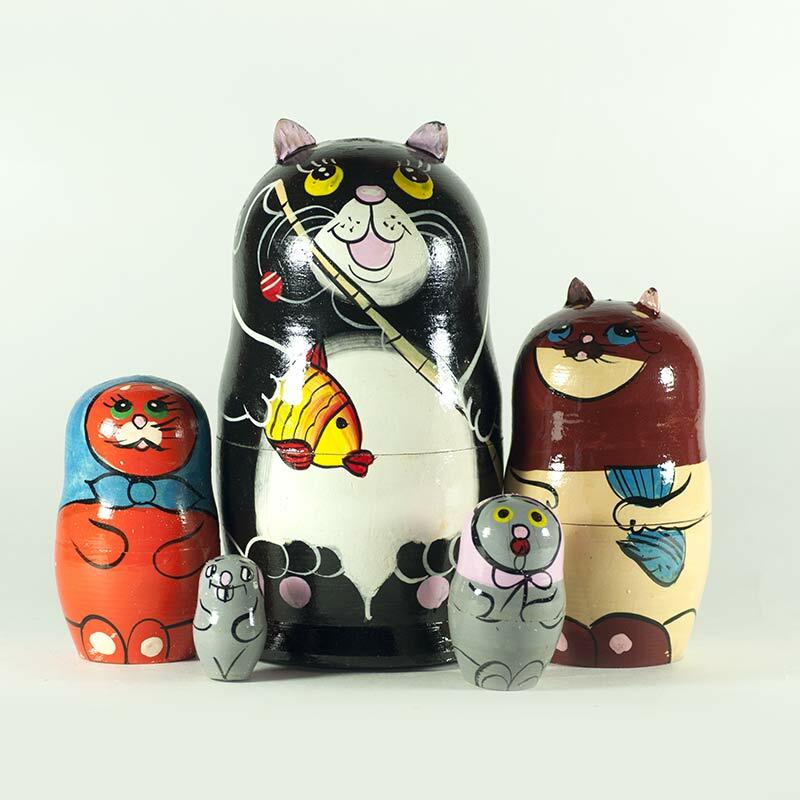 The artists at the factory designed many new nesting dolls painted in Semionovo style. 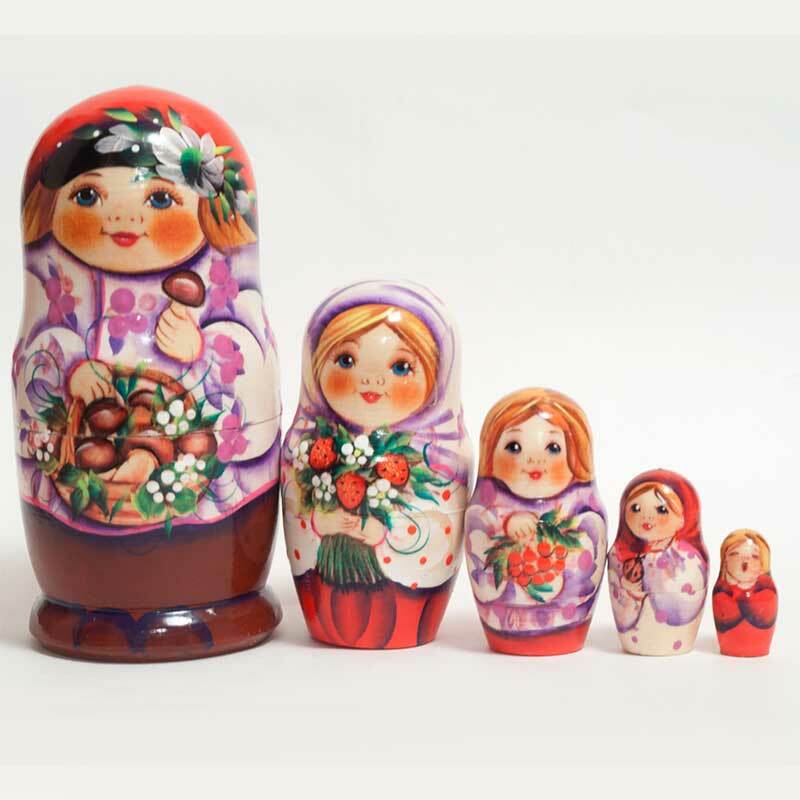 There is a good collection of such nesting dolls at our web page with traditional nesting dolls . 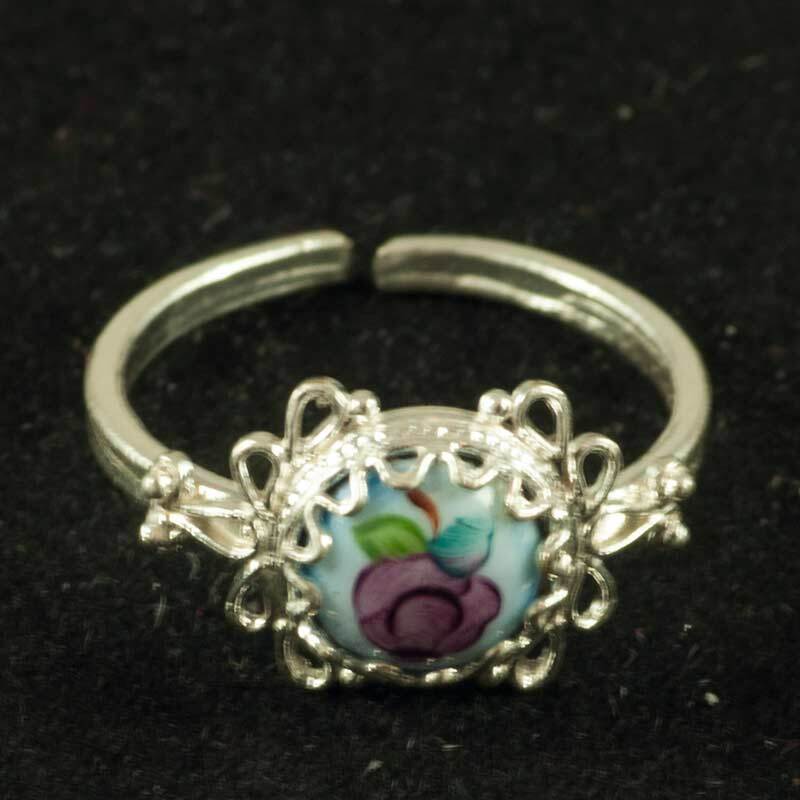 In present time the factory met a specific for our time problem - the copyright problem. 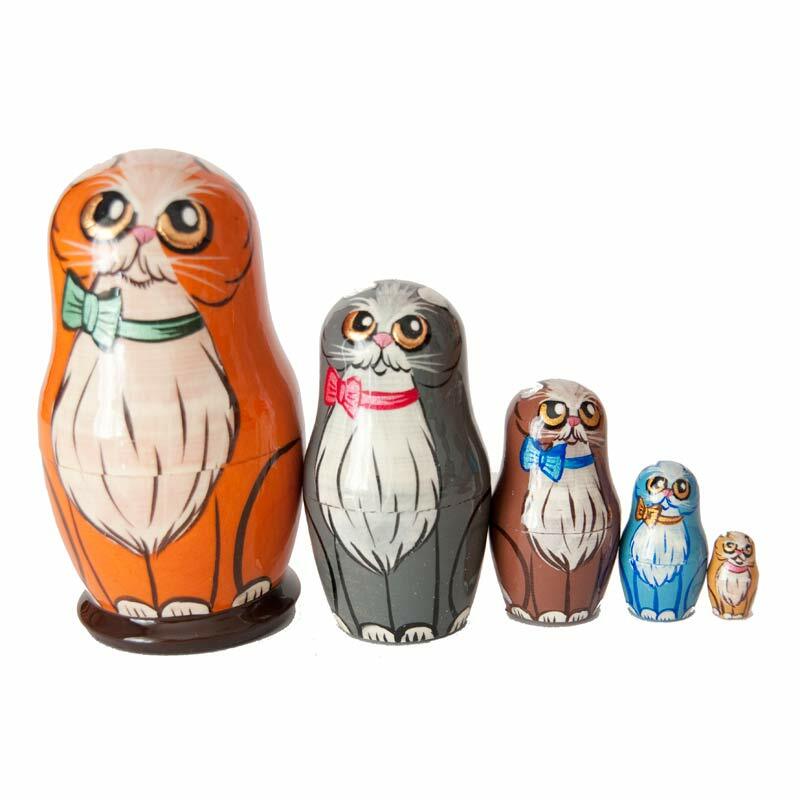 Many individual artisans and small workshops make copies of Semionovo style nesting dolls but their quality often is not good, especially quality of finishing. 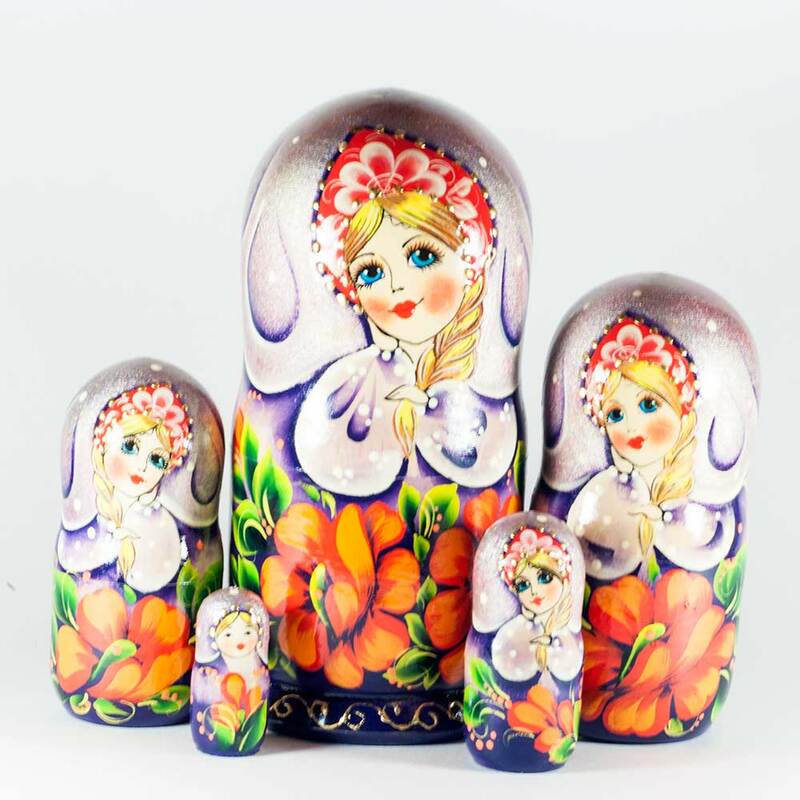 Nesting dolls and other products produced at the "Semionovskaya Rospis" factory have good quality of painting and perfect lacquer finishing. Polkhovsky Maidan located to the south-west of Nizhny Novgorod 240 km away from it. 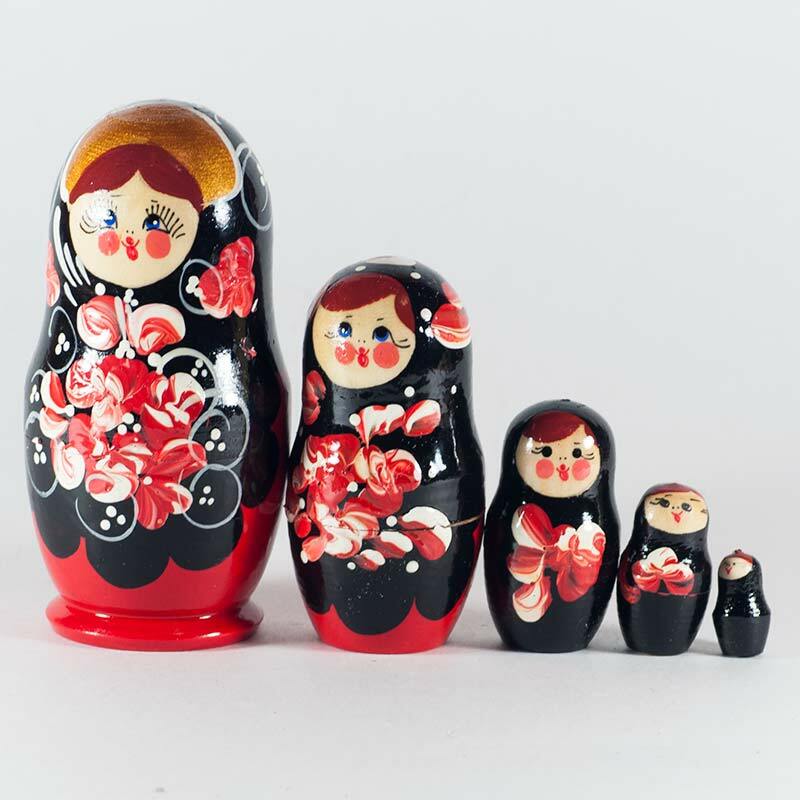 Is a motherland of another style of matryoshkas and nesting dolls. The river Polkhovka in old times was wide and big, it was surrounded by forests- that is why people choose this place to settle a new village. Now Polkhovka became a small stream meanwhile the village turned into a center of crafts. 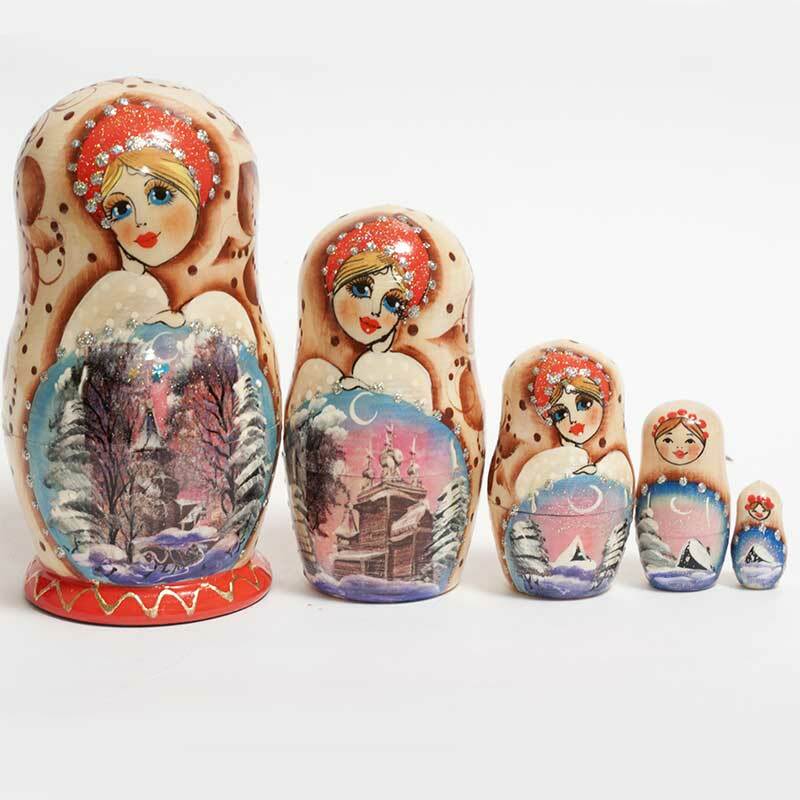 The first nesting doll was made in Polkhovsky Maidan in 1930-s, as other goods in that time the doll was made by poker work. Wooden workmanship was an old tradition in Maidan. 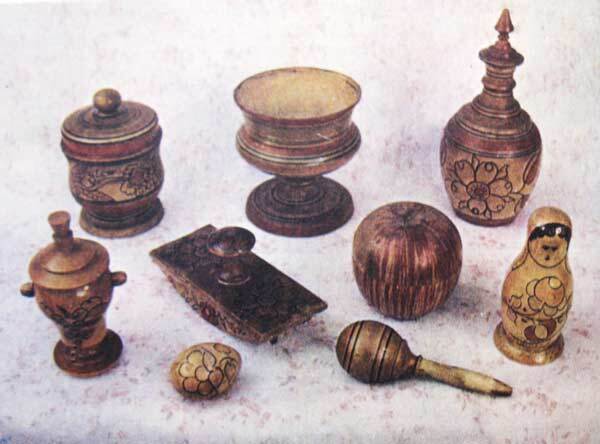 Any toys were made on turning lather: samovars, birds, money-box, salt-cellars and apples. . 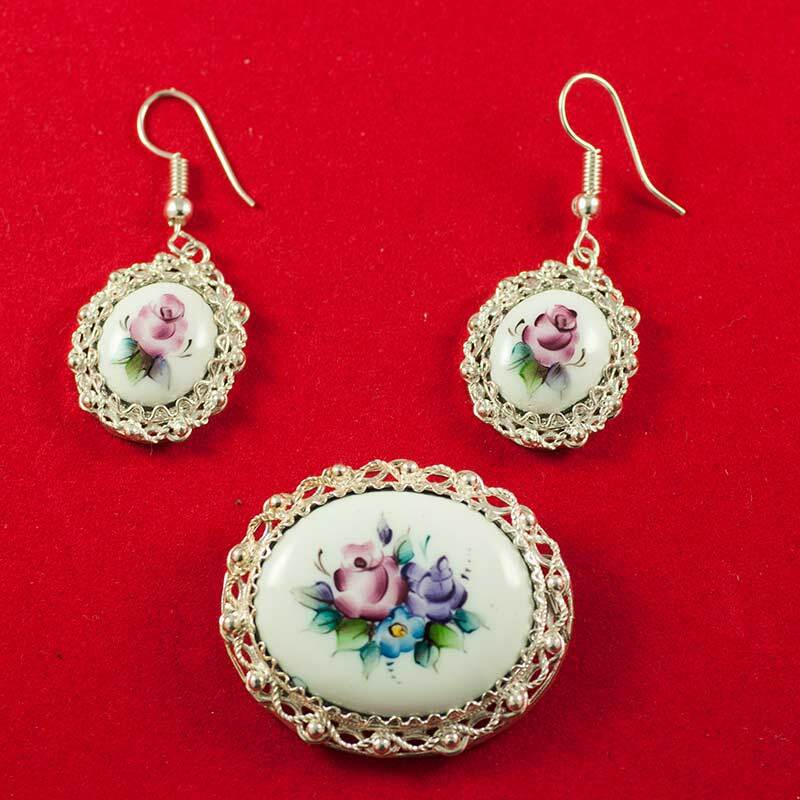 The craftsmen of Polkhovsky Maidan like the craftsmen of Semionovo use aniline dyes. The matryoshkas were pasted over, brightly painted before being coated with varnish. The colors of the matryoshkas of Polkhovsky Maidan are brighter and more expressive than the colors of the matryoshkas of Semionovo, their ornaments are bigger as well. 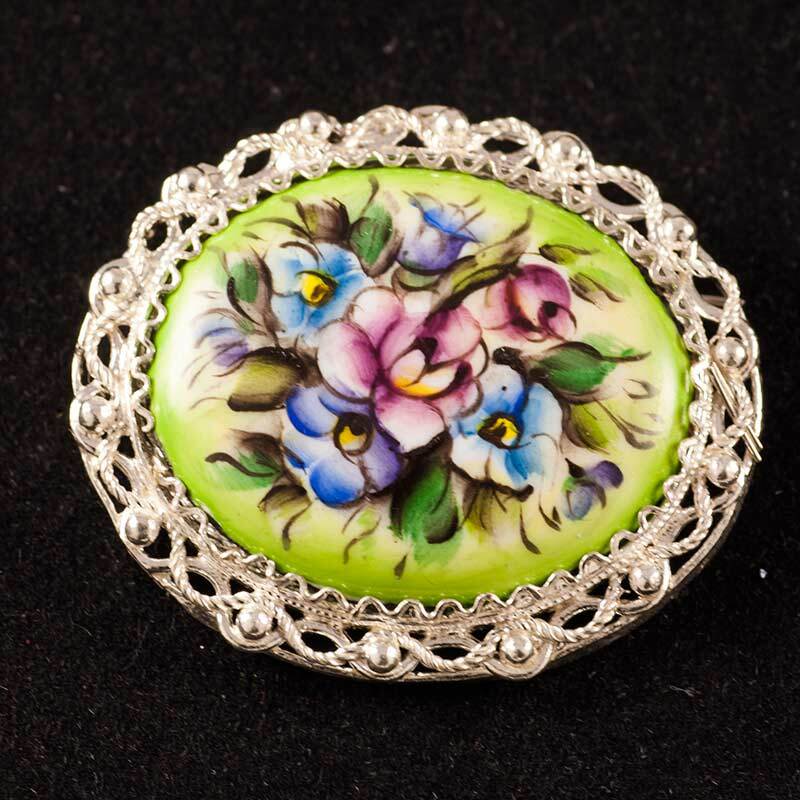 Green, blue, yellow, violet and crimson colors are used to contrast each other, to make an expressive and bright ornament. Richness of color is achieved by superim-posing one layer of dye on another. Older women covered their hair with kokoshniks, young girls used ribbons. Black drake's feathers were stuck in their headdresses. The painters of Polkhovsky Maidan as the painters of Semionovo paid their special attention to floral ornament of matryoshkas' aprons. They ignored other details of a matryoshka's costume. Dog-rose with many petals is the main element of apron painting. 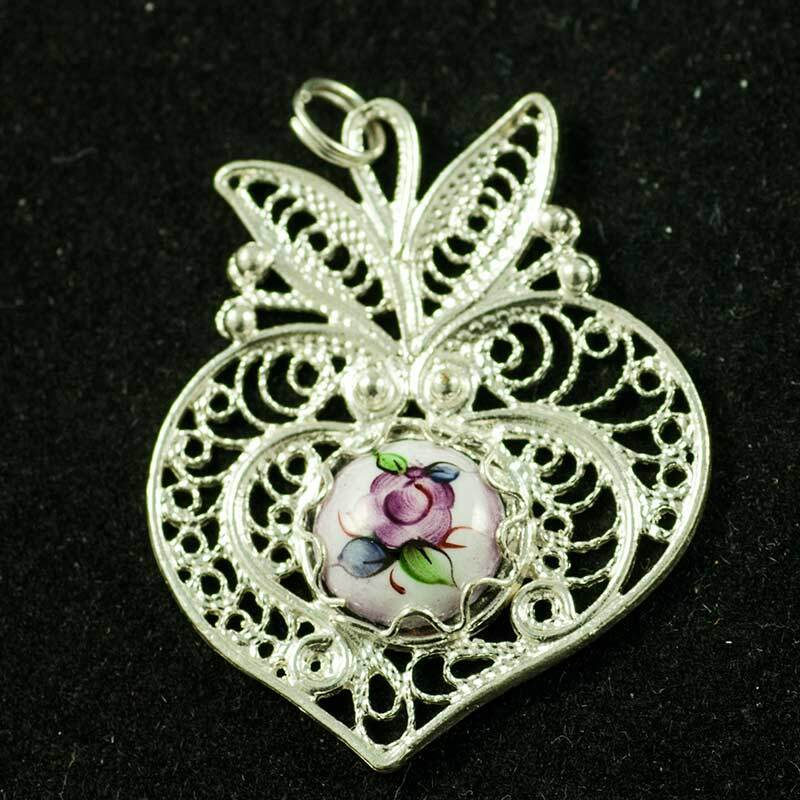 This flower is always considered to be the symbol of femininity, love and motherhood. I remember a story of old crafter from Polkhovsky Maidan about work in Soviet time. Those who did not work at the factory were not allowed to use home lathes for turning, electricity was "cut down". Militia and representatives of power controlled road and railway stations to prevent possibility to carry to other regions of the country ready handicrafts to sell . Nevertheless people produced their own goods and brought them to different regions of the Soviet Union: Far East, North regions, South and Central Asia Republics. The same happened with Sergiev Posad matryoshkas. 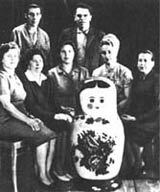 In 1920s the matryoshka makers artel "Artisan Artel" was rename "The Workers and Peasants Red Army Artel" that in 1928 became toy factory #1. The period of free work has finished. Some simple types of dolls were produced at the factory. 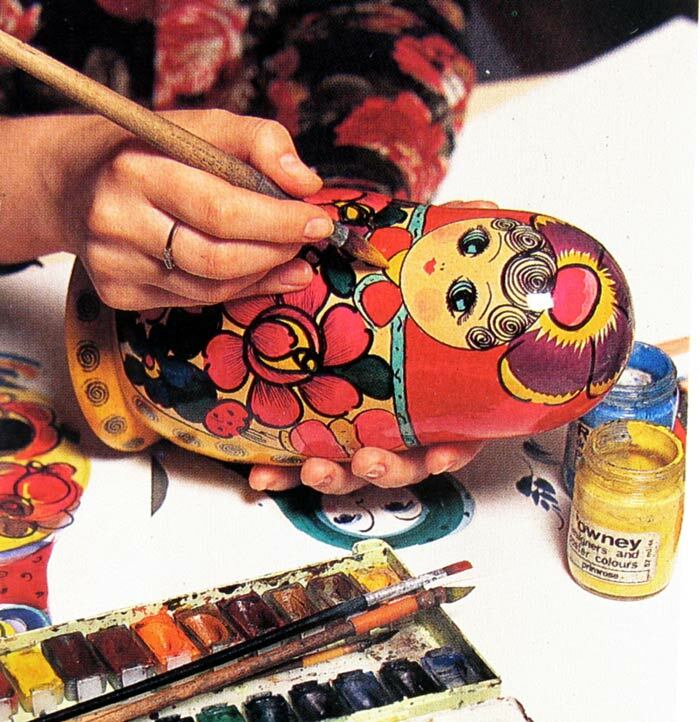 It is necessary to say that there were some people who created and painted original matryoshkas but it was not typical. 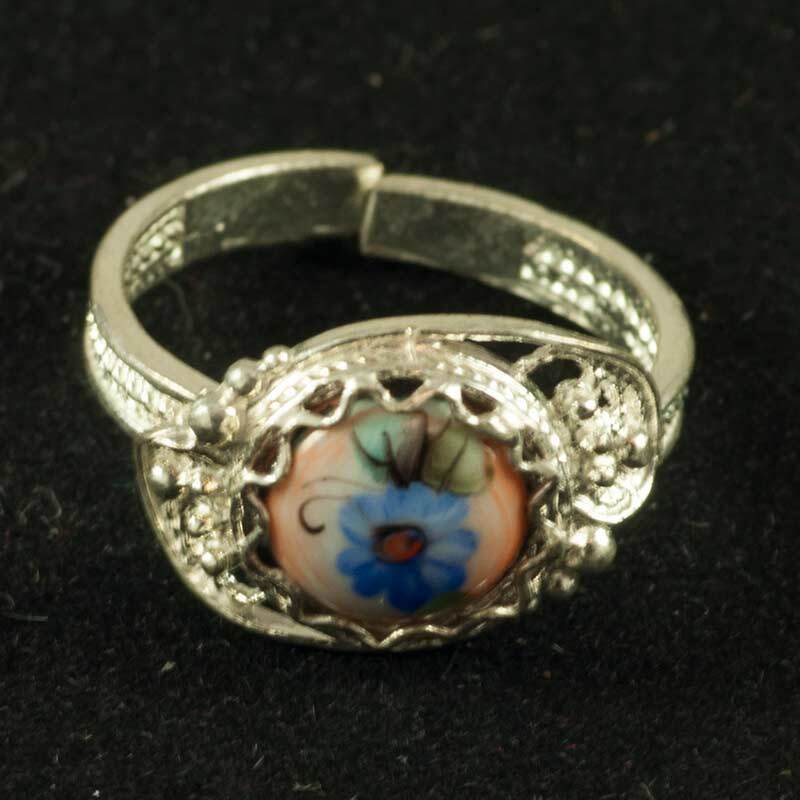 Such matryoshka were bought by private collectors and now are quite rare. 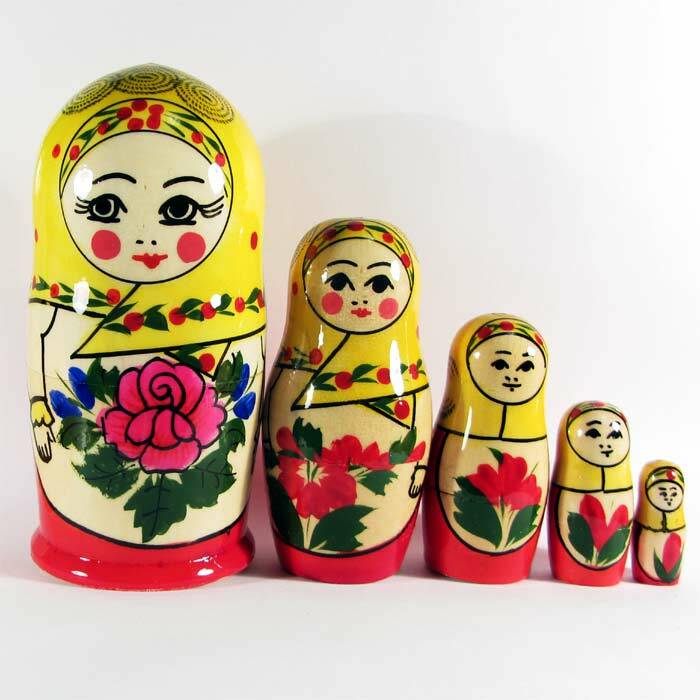 During the Soviet time many factories all over the country made nesting dolls. In time of planning economy when some wise guys from Gosplan (it would mean The State Planning Comity) decided that it would be nice to make as many matryoshkas as possible in order each person on the Earth could get his/her own matryoshkas That is why nesting dolls were made in Moldavia (South part of the USSR), in the Ukraine, in Caucuses republics (??? ), in Bashkiria, Karelia and many other places. Nobody was interested that it was impossible to bring together with tools and wood mastery of people and their skill. 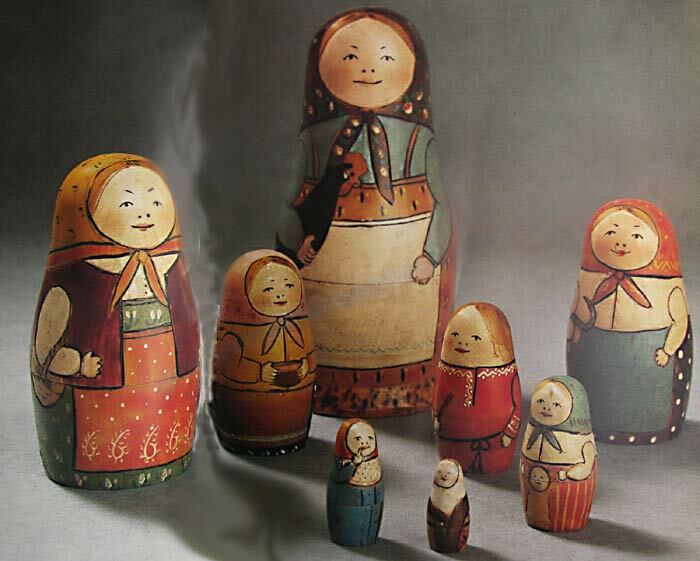 Without native traditions matryoshka lost its charm and became an ordinary wooden toy, very primitive and simple.